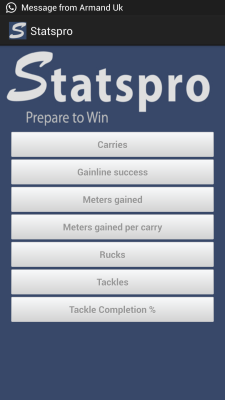 As school and club rugby players are pushed harder and harder each year the need has arrised for a player management tool. 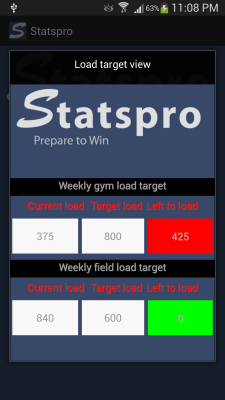 With the average young person spending up to 5 hours per day on their mobile devices it was the logical choice to build a mobile platform that the team can use to track player workload. 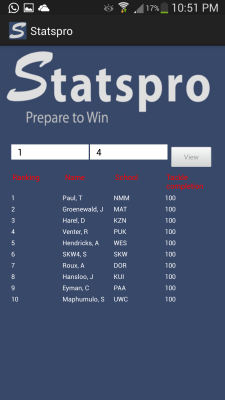 The newly launched Statspro Rugby android app can be downloaded for free from the google playstore. 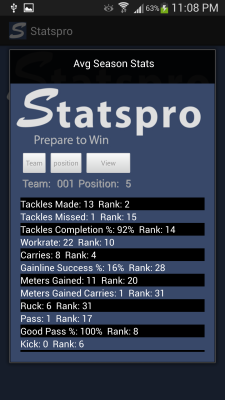 Affiliated players can view their average season stats as well as their target training loads loaded by the coaching staff. 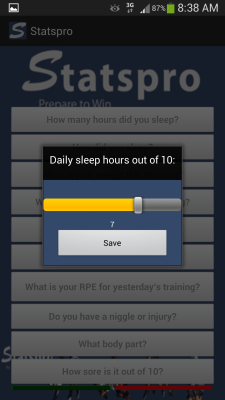 Players then answer 9 questions on a daily bases that covers areas like gym- and field RPE, as well as sleeping hours, resting heart rate and injury information. 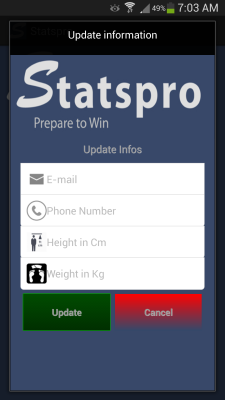 All the data is then sent to the coaching staffs computer from where players can be monitored and compared.